My work oral history work is largely shaped ethnography, geography, and acoustic ecologies. I'm always seeking the answers to the ways physical landscapes shape our lives, identities, and perceptions of self. Four-hundred-eighty million years before Jesus Christ was born in the modern day West Bank, tectonic plates along North America’s eastern seaboard were colliding. With this, the Appalachian Mountains toppled skyward, a fire and brimstone of calcified marine sediment, volcanic rocks, and slivers of ancient ocean floor. Truly, if God created Heaven and Earth in seven days, this mountain range was of his earliest design. Even the Himalaya—with Everest and her deadly traverses—wouldn’t appear for another 400,000,000 years. Along this ancient fault line is where we find ourselves today. Welcome to Hot Springs, North Carolina. How can we talk about dying without talking about what it means to live? There was something about Hot Springs, N.C. that I never could shake. I passed through for the first time five years ago on a long drive from New York to Tennessee. In March of 2017, toting recording gear and an address of some folks who would take me in, I spent two weeks gathering oral histories of this place. That July, I went back. 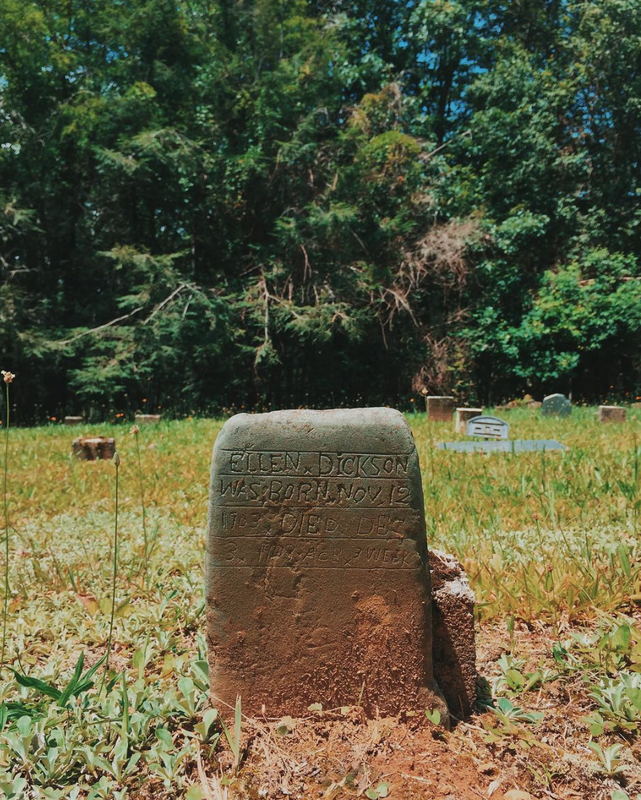 It was in stories of ancestors that I began to understand what it means to have been made by landscape—and instead of asking how one lives here, I began trying to understand what it means to die here. I'm entirely indebted to the folks I met along the way: for our big and small chats; for our porch time, drives, meals, and church services shared, I owe this to them. Here, you'll meet Heather, Genia, George, and Zack—a few of my new friends who helped me along. And of course, this project couldn't have been started—or continued—without the support of Sally and Ike Lassiter. I'm forever grateful to them. Sally took me up the road to see her burial plot. With stage IV cancer in her bones, she and Ike have been making her final arrangements. Among other directives, she told her children to never, ever stick any fake flowers on her grave or else she'd come back to haunt them. "Ain't nobody happy if mama ain't happy," she says, laughing. 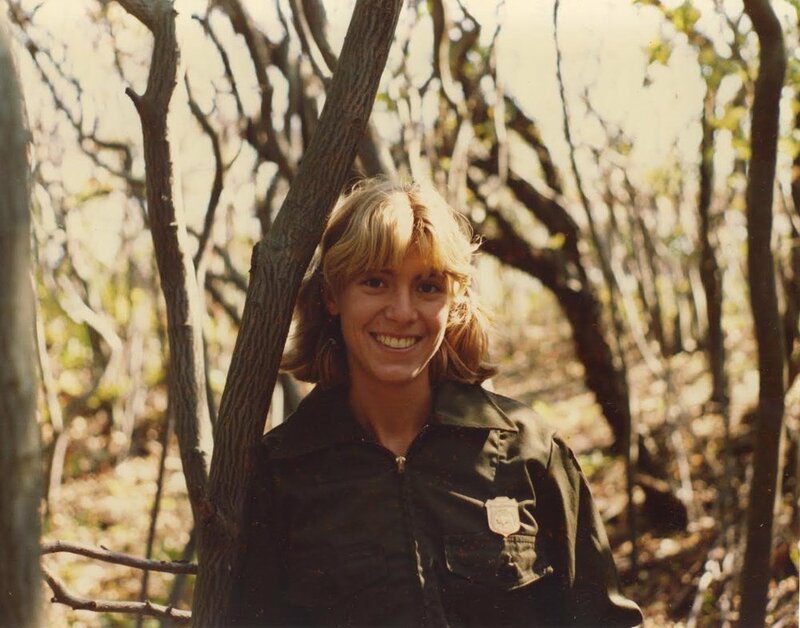 Sally Canepa during her days as a National Park Service Ranger on Fire Island in the Sunken Forest Watch Hill in 1979. Isabel Beach (r) and her friend Callie, at age 12. "We had just gone clamming. Her dad is a spotter pilot. So he flies around and finds schools of herring and then directs boats to their location.” Homer, Alaska. 2010. Lynn Cox on Mallard Island, MN. 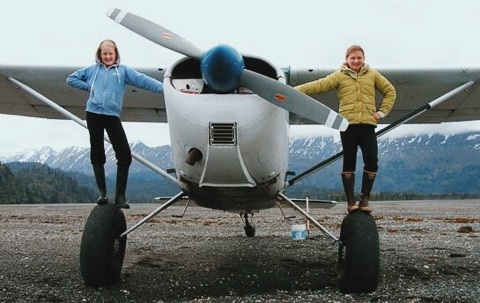 She was part of Outward Bound's first cohort of female trip leaders. Adam ate the apple. They say Eve suggested it. God, furious at their defiance, cast them out of Eden. They were exiled from paradise and into the wilderness. The wilderness was a place thought by Judaism — and subsequently Christianity — to be home to untamable evils. It was a dark, uncivilized landscape. The Puritans, arriving in America in the 17th century, were afraid of it. Natural lands became a matter of conquest: the mythic, spirited American pioneer relied on sweat and machine to survive. Taming nature became a moral yardstick by which one could measure masculinity. Of course, this was no work for a lady. It’s been quite some time since the fabled incident in the garden. Yet, these wild American landscapes —pregnant with history, rich in folklore and steeped in mythology— are still a contested space in which women seek to thrive. The American folklore cannon, deriving it’s lineage from its emigrant settlers and rooted in morality, has long warned of the evils that lurk in the woods. Sexually ravenous wolves and old maids who eat children warned little girls of their places in the wild lands. Yet, they went anyway. And still, they go. Why? It begs the question: what do we consider “wilderness” today, and who belongs in these spaces? The aim of this project is to gather the voices of women who, through prolonged lived experience in nature, have been working to justify their place within this geography. It was designed incorporate frameworks of ecofeminism, folklore, and gender to analyze women’s stories. It is important to recognize here the feminine ties with nature in Native American history—concepts that have been erased from our national colonial imagination. I am curious about contemporary feminine mythology and processes of storytelling central to the outdoors. Camp fire tales, the-fish-was-this-big-I-swear, cautionary fables, the stories of near-death experiences and things otherworldly, and how they all work toward a goal of defying the colonial, patriarchal construction of the natural world. I want to understand: how do these women, through reflection and retelling of their life stories, construct their identities in relation to nature?